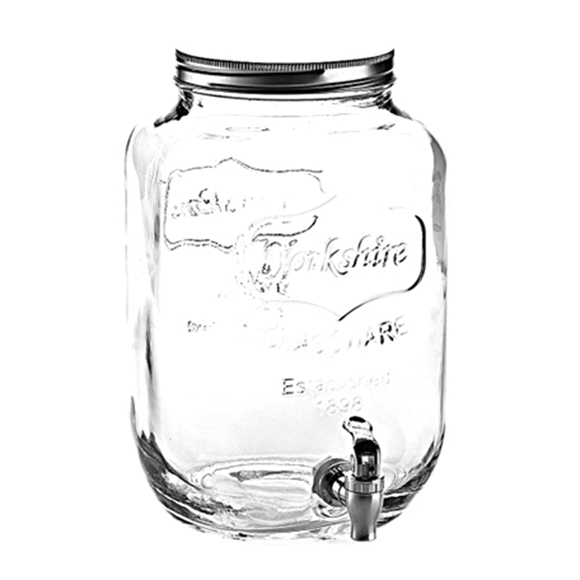 To add a bit of whimsy to your summer picnic, barbecue, or pool party, our "Mason Jar Dispenser" is an excellent choice. 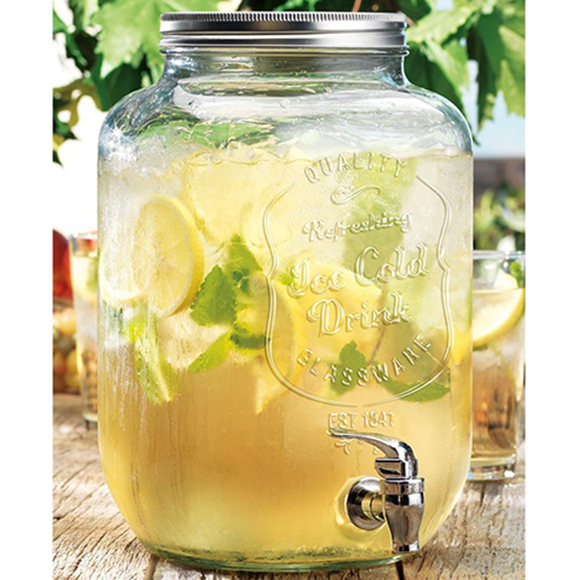 Available in two sizes, you will receive an item that easily holds all of your summer favorites, including iced tea, lemonade, juice, or punch. 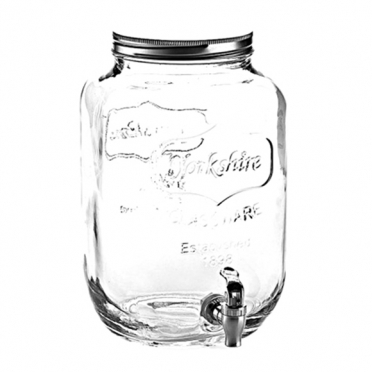 If you are hosting a casual party, it can be used to serve various alcoholic beverages as well. The solid glass construction provides durability and the ability to view when it is time to replenish your liquid supply. Rent one or multiple units and dress up your beverage table.